Something is terribly wrong with Junior Carter’s father. Stu, a veteran of four years of naval combat in WWII, has become increasingly erratic and violent, threatening the stability of the family. Eleven year-old Junior concludes it is his task to find and fix whatever has gone wrong. In the forests, hills, and streams of post-war West Virginia the young boy finds the solace and strength necessary to continue as he comes to realize that despite his best efforts, things are rapidly spiraling out of control. 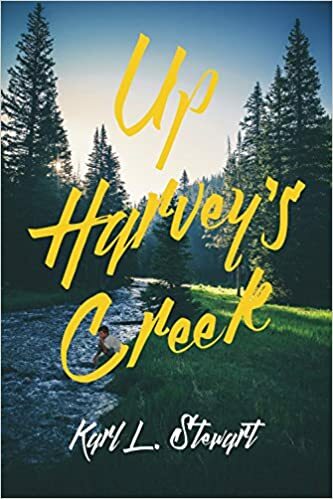 Up Harvey’s Creek is a poignant tale of a time gone by and of a child’s attempt to make sense of the inexplicable. Filled with pathos and humor, it is also a powerful commentary on the effect of what we now call the post-traumatic-stress syndrome.